Elantra is a responsive Shopify template designed for stores, shops & businesses to showcase their kitchen appliances, cookware & bakeware, tableware, kitchen tools, dinner sets and all other related products. Powerful code - base, clean programming to help customization easier and maximize site performance. Integrated Google Fonts - You can easily change the fonts for buttons, titles and page heading. 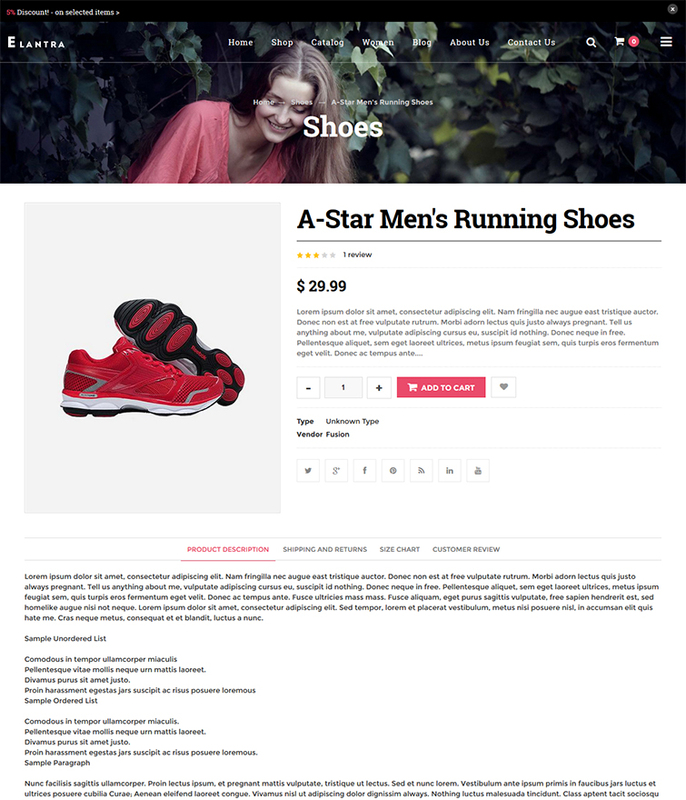 Product image zoom - Give customers a closer look and extra product details when they hover over an image. Support and updates - We provide fanatic support & keep our themes up to date. Slideshow - Showcase multiple product or brand images on your home page. The most powerful - Shopify theme control panel with all core features built-in. Related products - Display products from the same collection on your product pages so customers can continue shopping. Browser Compatibility - (IE9+, Firefox, Opera, Safari, Chrome). Need installation, customization or assistance for this Shopify theme from our team - send us a request at [email protected]. Never miss the latest offers, voucher codes and useful articles delivered weekly in your inbox.